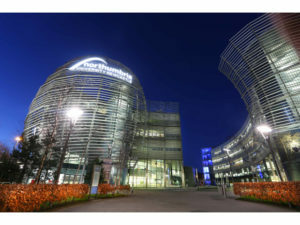 Northumbria University is a research-rich, business-focused university with a global reputation for academic excellence. It is based in the heart of Newcastle upon Tyne, which is regularly voted the best place in the UK for students. It is UK’s biggest riser for research power, as announced by the Higher Education Funding Council for England (HEFCE). The Northumbria University City Campus East is in the heart of Newcastle upon Tyne, just a couple of roads from the main shopping areas and cultural centres. The City Campus has been a centre of educational excellence since 1880s. Its award-winning architecture features sustainability principles encompassing renewable energy sources and natural ventilation, and provides with modern teaching buildings and sports facilities. Taxis are available at both Newcastle train and coach stations and at many places in the centre of Newcastle.